Ray is the managing member of Saratoga Asset Management, LLC, which is a limited liability company formed in North Carolina for the purpose of investing in real estate in the greater Charlotte market. To date, through a group of investors and high net worth individuals, Saratoga Asset Management owns or has developed and sold projects in excess of $34 million. Ray has almost 30 years of development, asset management, real estate, finance and property management experience. He holds a Masters degree in Real Estate from New York University and a Bachelors of Science in Finance from the Rochester Institute of Technology. 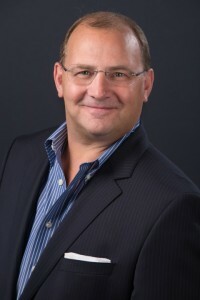 Previously, Ray was a Senior Vice President, Special Assets Manager for New Dominion Bank and worked as Vice President and Manager of the Special Assets group with CommunityOne Bank. Ray’s background also includes serving as the Southeast regional acquisition manager for General Electric Real Estate, and Vice President at Wells Fargo, Insignia Financial Group, and Lehman Brothers. In these capacities, he has bought, sold, and worked-out several billion dollars in commercial and residential real estate all over the United States. Ray lives in Matthews, North Carolina with his wife, Cathy, and their two children, Kennedy and Brody, and Ray’s son, Blake, is a recent graduate of Temple University.